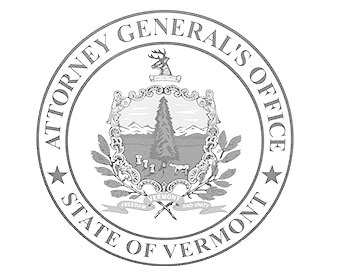 The Attorney General’s Office is charged with enforcing Vermont’s campaign finance laws. In addition, the Office defends those laws when they are challenged in court. Vermont’s campaign finance laws are set forth in Title 17 of the Vermont Statutes. The law can be found at 17 V.S.A. § 2901, et seq. Compliance Resources Candidates, political committees (PACs), political parties, and contributors should consult the Secretary of State’s Office, Elections Division for information on filing campaign finance reports and specific rules regarding contribution limits. If you have a complaint regarding a potential violation of Vermont’s campaign finance laws, send a written description of the matter to the address at the bottom of this page or email. If it appears that the complaint states a potential violation, the Attorney General’s Office will investigate the matter pursuant to its authority under 17 V.S.A. § 2904. As part of the investigation, we will send a copy of the complaint to the potential violator to ask for a response. Investigations can take a number of months depending on the facts and issues involved. Information collected by the Attorney General during an investigation is not public. See 17 V.S.A. § 2904. You will be notified when the complaint is resolved. There are several ways the complaint can be resolved. If the Attorney General believes there is sufficient evidence to prove a violation has occurred, the Office may file an enforcement action in Superior Court seeking an injunction, a civil penalty, or a criminal penalty. Alternatively, the Office may negotiate a settlement to obtain an acknowledgment of a violation, cessation of activities that violate the statute, or payment of a penalty. Final settlement agreements are public records. In some cases, the Office may address the violation by sending a notifying letter and requiring actions to cure the violation or prevent its reoccurrence. If the Attorney General determines there is insufficient evidence to establish a violation of Vermont’s campaign finance law, the complaint will be closed without a penalty. Press releases regarding resolutions of campaign finance investigations may be found in the Related News section on the left column of this page.